GUEST BLOG / By James B. Guthrie, AIA, Curator.--Irving J. Gill is San Diego’s greatest and most famous architect. His ideas worked their way through Southern California, the United States, and eventually reached across the Atlantic Ocean to influence European architecture. This new exhibition at the San Diego History Center (now through March 31), and the many related shows that are a part of the Gill Exhibition Collaborative around Southern California, explore the life and work of this extraordinary man, his architecture, the context in which he lived and created in, and his lasting and far reaching legacy. In these exhibitions you will see how the search for a truly American architecture started on the East Coast where Gill grew up, took root in the Midwest where Gill learned his craft, and then flowered in Southern California where Gill launched an architectural approach that eventually engaged with an international audience and a modern spirit. 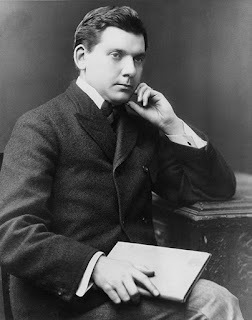 Irving J. Gill, or Jack, the name he preferred, was a humble man. He worked as most artists do, from an internal passion and drive. His life was about his work and his art. He may not have approved of the fanfare this exhibition brings to his legacy. It is, however, well deserved. Few architects have opened a door to ideas and designs that would last for over a century. 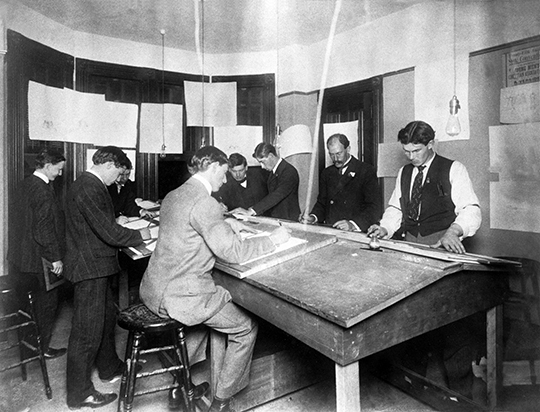 Gill came to San Diego by way of Chicago, where worked for the famed architectural firm of Adler & Sullivan in 1891-93 along side Frank Lloyd Wright. Arriving in San Diego at the end of the 1800s, Gill saw San Diego as a blank slate with great potential. Inspired by the coast and canyons, sunlight and shadows, Gill created a new design language, what we now call modern architecture. His simple, block-like designs offered simplicity, clean lines, and efficiency at a time when faux-Victorian and Spanish Colonial architecture were mainstream. Once sought after by many of San Diego elites like, Ellen Browning Scripps and Melville Klauber, his legacy was largely overlooked after his death. 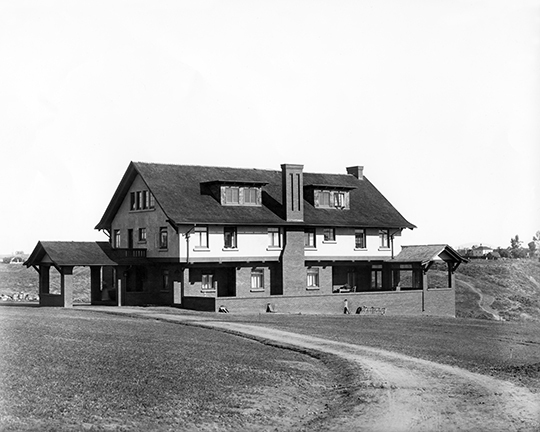 San Diegans today may not know the name Irving Gill, but they are, perhaps unknowingly, aware of his influential and livable architecture. 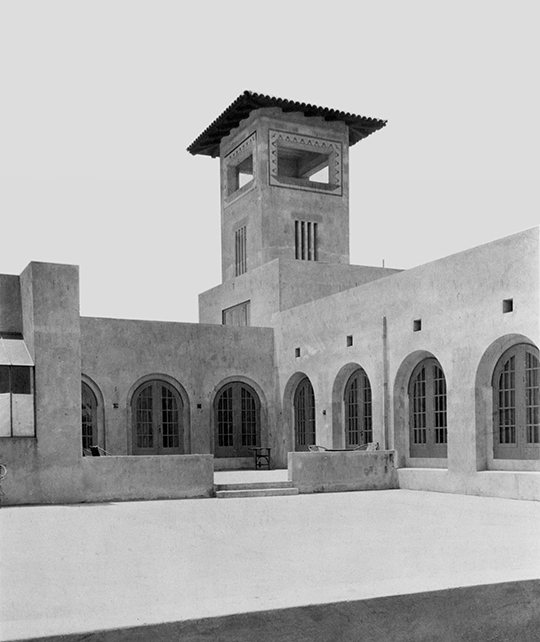 From the home of Ellen Browning Scripps (today’s Museum of Contemporary Art San Diego in La Jolla), to the Bishop’s School in La Jolla, to the Sacred Heart Church in Coronado, the Marston House in Balboa Park, the Americanization School in Oceanside, and the Barona Indian Reservation in Lakeside. Gill’s designs made a lasting mark on San Diego County and the influence architects and their clients to this day. Balboa Park’s History Center exhibition presents Gill as a fascinating and sometimes misunderstood individual who helped create a new style of architecture revered throughout the world that originated right here in San Diego.